As part of the Salesforce Integration, new subscriptions can be configured to import from the Account record in SFDC to ClientSuccess in real-time if you install the ClientSuccess package in your Salesforce instance. As part of this configuration, a custom client object (related list) called "Subscriptions" will be added to your Salesforce instance. From that point, each time a subscription is created or edited in ClientSuccess or in Salesforce (in the ClientSuccess object), the change will be pushed to ClientSuccess. Before getting configured, we recommend you meet with your ClientSuccess Assigned CSM and relevant Salesforce admins or other stake holders to review Renewal Management best practices. Note: The push from SFDC is trigger-based, meaning that subscriptions that existed before the integration, or changes made with the integration disabled or offline, WILL NOT be pushed or reconciled. 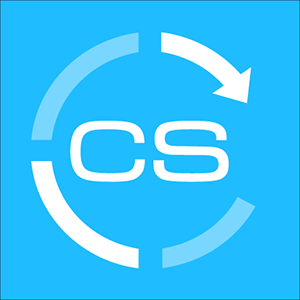 Our customer support team may be able to import your existing Subscriptions into Salesforce via CSV. If you need this done, please reach out to support@clientsuccess.com and they'll evaluate the request and it's possibility. Notes: Has to be a valid Account Name. Notes: Products from Salesforce will bring with them their SFDC product ID. Notes: Will automatically populate with the default product if left blank. If a value is provided, the product will automatically be added to ClientSuccess. Notes: Must proceed End Date by at least one day. Notes: Must follow Start Date by at least one day. Notes: Default value for Potential Subscriptions and Forecasts is 70. Notes: If checked, subscription will automatically renew for the forecasted amount on the End Date. Notes: The date the subscription terminates, not the timestamp of when the Subscription was terminated by a user. Notes: Active, Renewed, Terminated, Forecast, or Purchased.